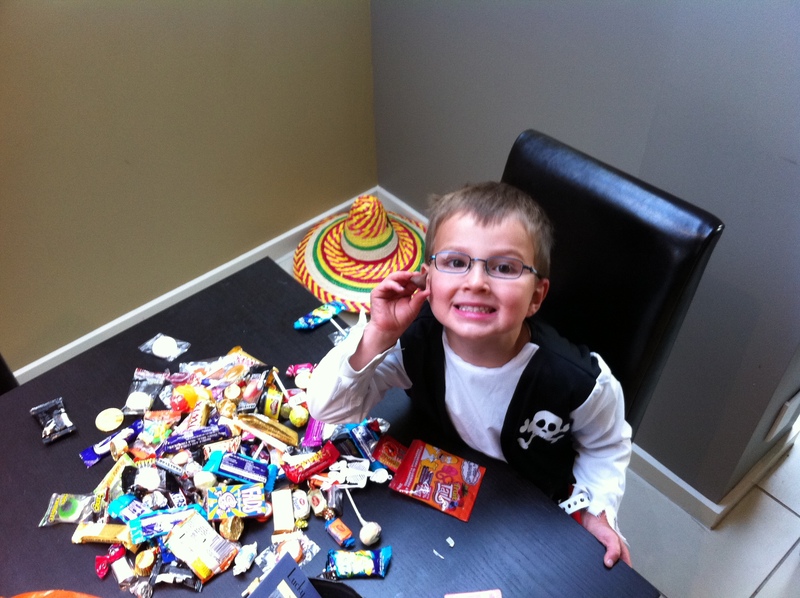 Halloween: Ameri-Aussie Style | From America to Australia, and back again! Wow. Well that was interesting. We attended our first ever American Women’s Auxiliary function, the annual “Trunk or Treat.” Besides the fact that is was COLD (very much like Halloween in the Northern Hemisphere!) and windy (hello, Melbourne!) it was a really fun time and we left discussing what we would have done different. 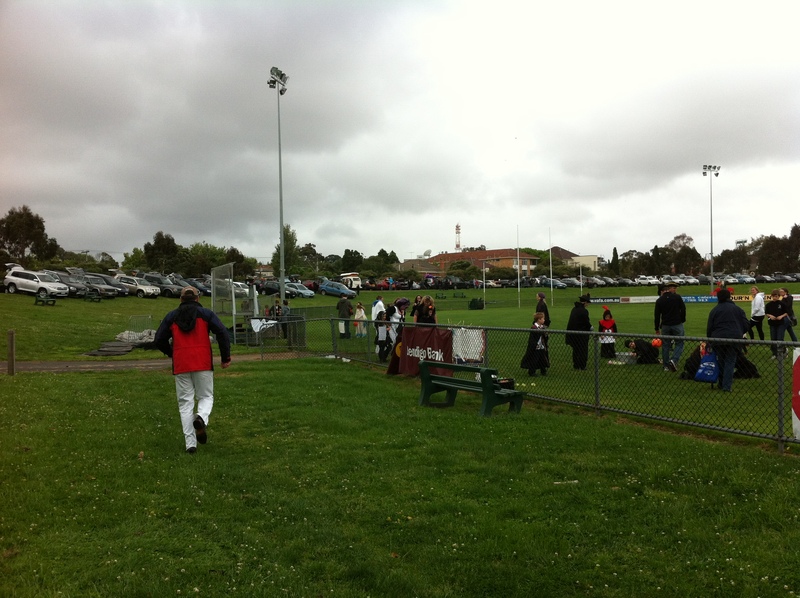 We arrived at the Elsternwick Cricket Ground, which is just a big open field with a clubhouse type building. The cars parked along one side, lining both sides, with their trunks (boots) opened and most of them decorated for Halloween. The kids didn’t care one bit about the wind or air temperature and were happy to play all the games they set up on the oval. 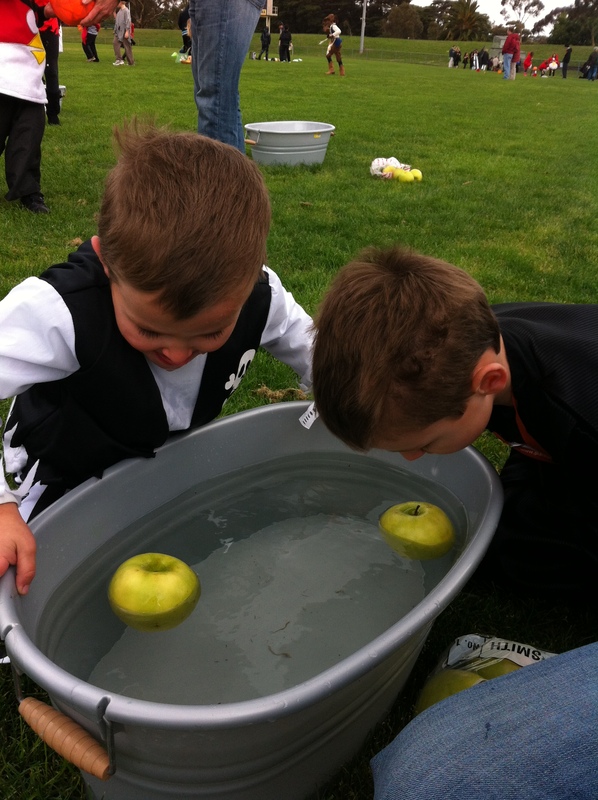 From bobbing for apples (my kids had no clue what do with the buckets of freezing cold water with 2 apples, why couldn’t they just reach in and pick up the apple?) They got it quickly then moved on potato sack races, bean bag toss, golf, horseshoes, bowling and reaching their hands into a coffin filled with worms (noodles) to get a spider ring. They came away from the games with handfuls of plastic skeletons, notebooks, bracelets, tattoos, and stickers. Then it was time for dinner. Everyone was lined / queued up for pizza, water and cookies. We sat in the bleachers area with a few other families and had a nice dinner (would have been nicer if I had thought to bring along some beer or wine!) Then it was time for the Trunk or Treating! It was very well organised, and we walked from car to car, saying “Trick or Treat” then usually the kids reached into a bowl or were handed a piece or two of candy from a nice American person in costume. Everyone’s trunks were decked out Halloween-style, some really elaborate, others just simple but still cool. Everyone was so friendly and happy to be there. My brain was confused by all the accents “Hey! They’re American! Oh yea, right, this is an All-American function.” Followed immediately by, “Wait a minute, that guys sounds Aussie, what’s he doing here? Maybe he married an American, who knows.” Seriously my hearing was so in tune to the voices around me, some kids sounded completely American, some all Aussie, then some others were a mix of both, which is strange as well. Hearing a woman with a thick Southern accent ask her kids “How’d you go darling?” was mind-boggling. And a little blond boy dressed as a baseball player telling his dad “look at all the lollies!” also was strange. Afterwards I explained to the boys that it isn’t really like this in America, that you would walk from house to house, knocking on doors, ringing bells and it would take a lot longer. Seriously in a half hour, we hit about 70 cars and filled up our buckets. I don’t my kids to think that is what “real” trick-or-treating is! All in all, it was a blast and a really well-run event. It only took me three years, but I am glad we finally did something with the AWA! Look at all my lollies! 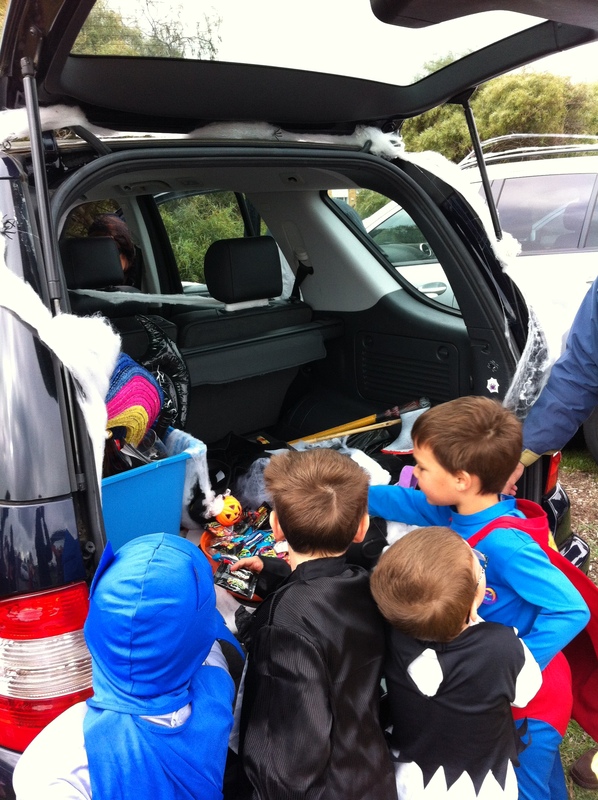 What a great day you must have had… I love the Trunk or Treat idea. Makes much better sense to do it in the US because it’s cold in October. Would be good for the kids to not have to bundle up, over their costumes and go from house to house in the dark! The boys look amazing, and it sure looked like so much fun for everyone. A friend on facebook who lives in SC just posted yesterday they were going “trunk or treating” – sounds like a great day! This style would definately please our dog instead of getting excited every time someone knocks on the door! I forgot to tell you – I met a lovely cashier in Target from Melbourne! She said she lived near the airport – couldn’t speak more highly of the city! Love it! 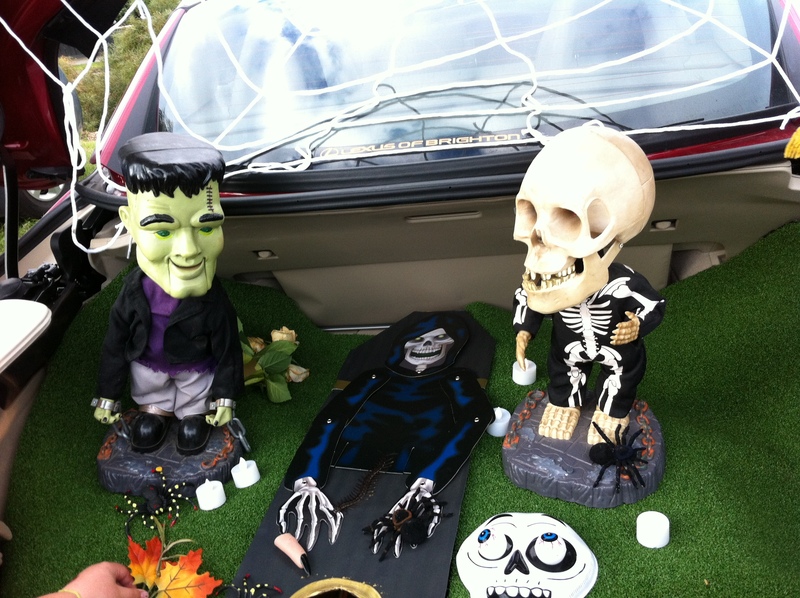 I would definitely go back to the “Trunk or Treat” next year. Awesome idea! Love how they are workin’ those costumes, they are great! Always love to see their smiling faces 🙂 Happy to see you enjoying this time when they are young, making so many great memories. 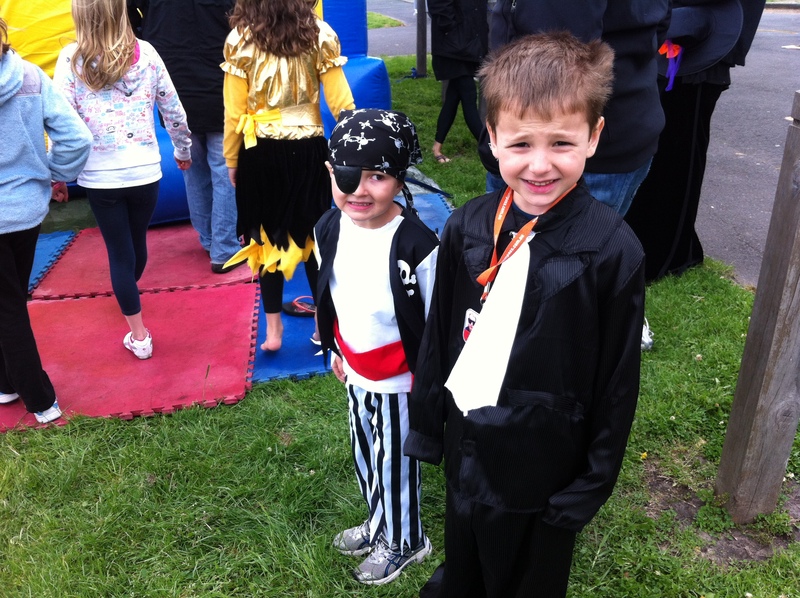 This was our first year without the traditional US elementary school halloween parade, although sad it’s behind us, happy that we enjoyed all of those years with wonderful memories to look back on. A simple reminder to “be present in the moment”. This sounds like SOOO much fun. I love this idea 🙂 I too would have been seriously confused by the accents – sometimes I just don’t pick up American’s accents any more.